Hello! I am Colin Newell, the new editorial assistant to Thomas Witherspoon of SWLing.com. I have been DXing and SWLing since 1971 and have amassed something of an unusual audio archive going back to around 1975. In the upcoming months I will be sharing many of these snippets with our readers. Enjoy! 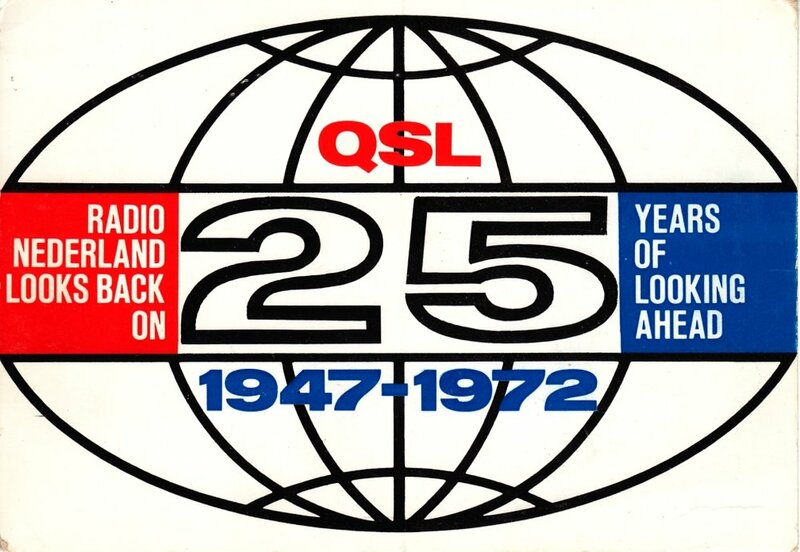 On September 11th, 1975 while tuning around for Papua New Guinea stations on my DX150B, I discovered a loud signal on 2654 Khz - playing bouncy big band and instrumental music. Much to my amazement, many station ID's would soon pop out of the noise. This would turn out to be one of the shortest lived shortwave broadcasters ever! I believe I phoned a few DXer's out west to report this station but this is one of the only known recordings of this 2 X harmonic of a Philippines religious station (that had only been on the air 2 or 3 years. The 2nd harmonic on the "120 meter band" would live for another couple of days and be gone forever. One of the joys of Short-wave listening that has captivated me all these years is the pure randomness and unpredictability of the experience. Like a box of chocolates... you never know what you are going to get! Thirty years ago today the US Space program came crashing down with the explosion of the Space Shuttle Challenger. I was a student at Purdue University at the time, living in a dormitory. I decided to make some recordings knowing this would be a historic event. This is a recording I made of the BBC on the evening of Jan 28 (0200 UTC on January 29). The frequency was most likely 5975 kHz or 9590 kHz. The dorm environment didn't make a great place for SWL reception and the recording is noisy but still of decent quality. Recorded using a Sony ICF-2001 with a wire attached to a window screen for an antenna. Radio Canada International recorded on November 2, 1981. This is another from my archive of old recordings of Radio Canada International's Shortwave Listeners Digest. This contains part three of Larry Magne's interview with Perry Ferrel from Gilfer Shortwave, Glenn Hauser's DX tips and an item from Jonathan Marks about HAP. Recorded using my Sony ICF-2001 likely on 15.325 MHz around 2100 UTC. Again, the audio quality isn't the greatest. Enjoy! Live off-air recording of the program "Rockin' with Raoul," produced and presented by Raoul van Hall in conjunction with PCJ Radio International and transmitted by WRMI, Radio Miami International, from its transmitter facilities at Okeechobee, Florida, on 28 November 2015 from 09:11 to 10:11 UTC on a shortwave frequency of 11580 kHz. The broadcast, the third and last of a special series, was directed to Europe and Southeast Asia using a 100 kW transmitter and an antenna beam azimuth of 44 degrees. The start of the program was delayed by 11 minutes due to some unknown technical problem at WRMI. The transmission was received on a Tecsun PL-880 receiver with its built-in telescopic whip antenna indoors in Hanwell (just outside Fredericton), New Brunswick, Canada, in AM mode with 5.0 kHz RF filtering. Live off-air recording of the program "Say It With Music," produced by PCJ Radio International and transmitted by WRMI, Radio Miami International, from its transmitter facilities at Okeechobee, Florida, on 14 November 2015 from 09:00 to 10:00 UTC on a shortwave frequency of 11580 kHz. The broadcast, the first of a special series, was directed to Europe and Southeast Asia using a 100 kW transmitter and an antenna beam azimuth of 44 degrees. "This recording captures the last 5 minutes of WWV’s old format (giving the time every 5 minutes) and the first 5 minutes of the new format (giving the time every 1 minute), which took place on July 1, 1971 UTC. Apologies for the less-than-stellar audio quality, but I recorded this as a 15-year-old fledgling SWL with limited knowledge of audio recording techniques. So I simply placed the microphone from my cassette tape recorder next to the speaker on the receiver and hit the record button. The signal quality wasn’t the greatest, either — lots of QSB and QRM — but I still managed to get what I was going for. The resulting recording has accompanied me everywhere since then, preserved only on its original cassette, until 2008, when I finally decided it was time to learn how to transfer it onto my hard drive, burn it onto a CD and stop having to rely on the integrity of 37-year-old audio tape. Even as a teenager, I regarded the WWV changeover as historic, and felt I should attempt to record it for posterity. Consider yourself posterity!" Brian received this broadcast on 10 MHz care of a Hallicrafters S-108, with random length of wire attached to the back of the receiver serving as an antenna. Location was Franklin, Indiana. As Brian mentions, the audio quality is a little rough, but this is still quite a treasure of a recording! The remaining 3 hours and 20 minutes of the special overnight broadcast during the cyclone. Ends with the "Morning Devotion". Transmitted at 10 kw from Honiara. Received in Sydney, Australia, with a Grundig S450DLX and an indoor homebrew broomstick antenna. Continuing the special extended coverage of Tropical Cyclone Pam and its effect on the Solomons. Transmitted at 10 kw from Honiara. Received in Sydney, Australia, using a Grundig S450DLX and an indoor homebrew broomstick antenna. Special coverage of Tropical Cyclone Pam and the damage it has caused in the Solomons. They usually sign off at 1200 and resume at 1900 but they stayed on all night to cover the cyclone. Transmitted at 10 kw from Honiara. Received in Sydney, Australia, using a Degen DE1103 and 40' longwire. Shortwave Radio Audio Archive contributor, Richard Langley, has digitized a set of historic off-air recordings documenting the independence of Lithuania through Radio Vilinus. We will feature Richard's full description and comments in this first post and recording. Subsequent posts will describe each individual recording of the set. On 11 March 1990, Lithuania was the first Soviet republic to declare its independence. The Soviet Union issued an ultimatum to the Lithuanian authorities to renounce independence or suffer the consequences. On 17 March 1990, Lithuania rejected the demand and the Soviet Union responded by applying economic sanctions and occupied parts of Vilnius, the capital city. In January 1991, the Soviets launched a larger scale operation against Lithuania. On 11 January, Soviet military units seized several building in Vilnius and elsewhere. On 12 January, civilians congregated outside some strategically important buildings such as those of the Supreme Council (the Seimas Palace), the Radio and Television Committee, the Vilnius TV Tower, and the main telephone exchange in an attempt to prevent them from falling into the hands of the Soviet military. In the early hours of 13 January, tanks and soldiers attacked the TV tower. Fourteen Lithuanians and one Russian soldier died. Subsequently, Soviet forces surrounded and entered the Radio and Television Committee building and forced the TV station off the air. Shortly thereafter, a small TV studio in Kaunas was used to resume TV transmissions and put out a call for help. Radio transmissions were also affected. Although Soviet forces were in the vicinity of the Supreme Council building, they retreated instead of attacking. The occupation and military raids continued for several months following the attacks. Subsequent Lithuanian-Russian negotiations resulted in the signing of a treaty on 31 January. A referendum on independence held on 9 February overwhelmingly supported the full and total independence of Lithuania. Other republics of the Soviet Union declared their independence and following the resignation speech by Mikhail Gorbachev on 25 December, the Soviet Union was dissolved the next day. The last Russian troops left Lithuania on 31 August 1993. Radio Vilnius, the external service of Lithuanian Radio, transmitted news about events in Lithuania and the other Baltic republics even at the height of the Soviet attacks. The broadcasts were made, in part, using transmitters elsewhere in the Soviet Union. However, there was a temporary interruption in these broadcasts after the occupation of the Radio and TV Centre by Soviet troops early in the morning of 13 January. They resumed on 25 January. Radio Nederland’s “Media Network” programs of 20 January 1991 and 14 January 1992 featured reports on Radio Vilnius and the Soviet occupation. The sound files of these programs are available on the Web (“Media Network Vintage Vault“). I have six recordings of Radio Vilnius English Service shortwave broadcasts between March 1990 and January 1991. These were received in Hanwell, New Brunswick, Canada, using a Sony ICF-7600D receiver and supplied wire antenna draped around the listening room. Strong signal. Interval signal (IS) and station identification (ID) but the transmission was cut off in mid-sentence: “This is Radio Vilnius. Hello and welcome to our daily broad” All that could be heard faintly on this frequency then was Radio Liberty in Russian (“Govorit Radio Svoboda”). Initially could hear nothing on Radio Vilnius parallel frequencies until about four minutes into the broadcast when a very faint signal on 12060 kHz could be heard (not recorded). Weak signal. IS, station identification, and first part of “News About Lithuania.” Radio teletype interference. Checked other frequencies. [The following is a] recording of the penultimate English broadcast from Radio Berlin International (RBI) and the last broadcast in the particular time slot. It was also the last broadcast of the popular DX program DX-tra. RBI ceased broadcasting at the end of the day on 2 October 1990, the day before German reunification took place. The 45-minute recording ends with the familiar RBI interval signal and, at 01:30 UTC, the first part of the German-language transmission, also the last in its time slot. This recording was made in Hanwell, NB, Canada, with a Sony ICF-7600D receiver and supplied wire antenna draped around Richard’s home office. This recording begins around 0045 UTC, October 2, 1990 on a frequency of 9,730 kHz. One of the advantages of hosting a contributor-driven shortwave radio audio archive, is receiving off-air recordings of defining moments in our world history. This is certainly one of them. "I've started to convert some of my old cassette shortwave recordings to mp3 files. I've uncovered a box of about 25 tapes with recordings mostly from 1990 and 1991. This was an interesting era for shortwave. There was the reunification of Germany, the breakups of the Soviet Union and Yugoslavia, and the invasion of Kuwait by Iraq and then the First Gulf War. I monitored some of these events using my venerable Sony ICF-7600D receiver with the supplied wire antenna draped around my home office. I bought this receiver during a trip to Hong Kong (and the P.R.C.) in 1985. It was my first decent shortwave radio and I still have it but it has since been joined by several other receivers. [The following] is a recording of President Mikhail Gorbachev's resignation speech as broadcast live by the World Service of Radio Moscow. As the announcer says, "a moment of history in the making." It begins at about the three-minute mark of the recording (at 17:00 UTC). The speech is followed by a program of classical music (filler), the News in Brief at 17:30 UTC, followed by part of the program "Africa as We See It." Click here to download this recording of Radio Moscow World Service from December 25, 1991 on 17,670 kHz, beginning at 1657 UTC.